Candidates are advised to check the official website and check their result. The Middle School Teacher Eligibility Test 2018 will be conducted on February 16, 2019. MP TET Admit Card: The MP TET Admit Card has been released for the Middle School Teacher Eligibility Test 2018. The Madhya Pradesh Professional Examination Board (MPPEB) released the admit card on the official website for MPPEB- peb.mp.gov.in. Candidates are advised to check the official website for their result. The Middle School Teacher Eligibility Test 2018 will be conducted on February 16, 2019. The exam had been scheduled for January 19, 2019, earlier. The board has already conducted the High School Teacher Eligibility Test 2018 on February 1, 2019. Step 1: Visit the official MPPEB website- peb.mp.gov.in. Step 2: Click on the link given on the homepage. Step 3: Enter your application number, Do, select your main subject from the drop-down box, and answer the verification question. 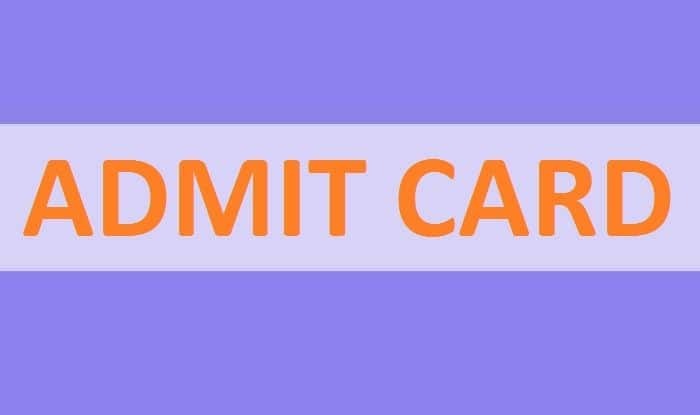 Step 4: Submit and download your admit card. Candidates are advised to carry an identity proof in original along with the admit card. Apart from the photo identity proof, the candidate is also required to bring their Aadhaar card/e-aadhaar card/photocopy of Aadhaar card/ information of their Aadhaar on the day of the exam. The reporting time for the first shift of the examination is from 7.30 AM to 9.00 AM and for the second shift of the examination is from 12.30 PM to 2 PM. The exam will fill up the vacancies for the middle school teacher available with both the School Education Department and Tribal Affairs department.